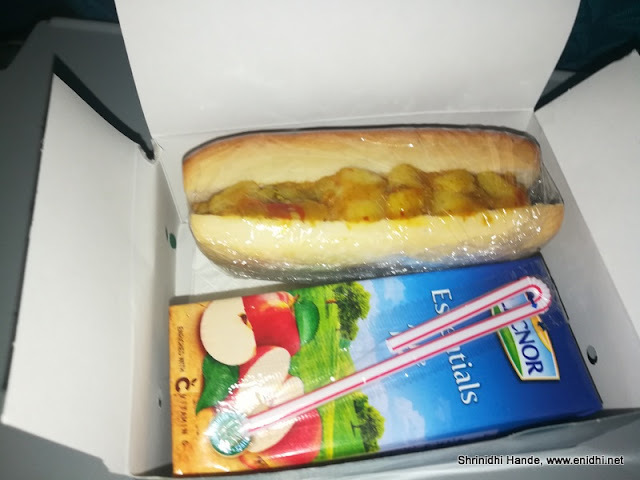 This time we got only light snacks instead of full meals as earlier I think some cost cutting ideas have been introduced. Also it was A330 when I booked but was changed to A320 later. Onward flight didn't have entertainment while the return flight had. Got only 500 points (for self) though my ticket had 4 passengers. Otherwise everything else was fine- on time, no other issues. Now payment is accepted in INR. But other concerns are still not address- no modify search option, no forgot password option etc. I have 2 more trips with Srilankan in 2018. This post shares my first time experience booking and flying Srilankan Airline. Didn’t have a chance to fly them so far- both my Srilanka trips were on Spicejet. Few months ago, accidentally saw a low fare on Srilankan to go to Male, Maldives, a destination that was on my radar since months. Normal fare in Spicejet or Air India or Srilankan was around 15k, but on that day I say a low fare of 11k, the dates were sort of convenient and I immediately booked ticket, for travel during Oct 29-31 period. (2 days only). It was a full service airline, supposed to be good and better than Spicejet or Air India (other two main airlines connecting India and Maldives) Since I hadn’t tried Srilankan before, I booked my Maldives trip with this airline, with a transit at Colombo, with lots of anticipation and curiosity as to how the experience will be. In summary, the flights were good and flying experience was great, but they could do some improvements on the website and other pre-flying process. 1. Currency conversion expense: Though website shows fares in INR, your card will be charged in USD- which means card issuing bank will charge a commission & conversion fee at par with international transaction. This means your actual cost can be about 5% higher than what is shown on the website. If you buy on Air India or Spicejet, this additional currency conversion expense will not be there. Given that India is a major market for Srilankan, they should accept payments in INR to save customers this extra cost. This is still an issue even in mid 2018. 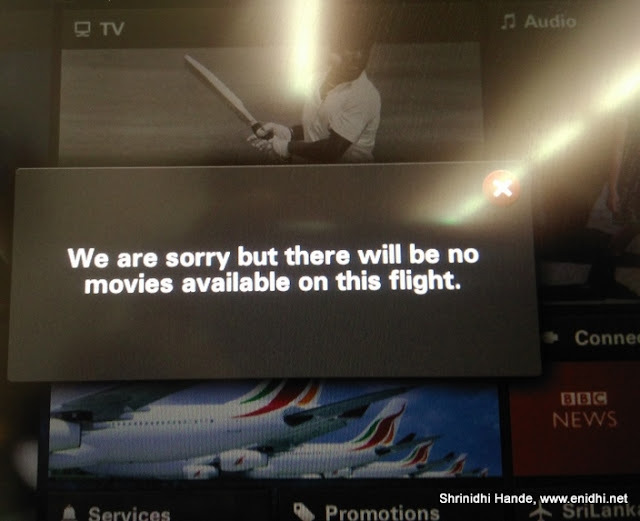 I think Amadeus GDS on which Srilanan airlines website operates is to blame? I bought ticket first (because I didn't want to risk losing low fare) and then created an account on Srilankan website. Once I logged in, there was no way to retrieve a booking and link it to my account. I was asked to send an email to the support team. I have sent one, no reply received in 3 months as of this moment. So I have to retrieve my booking every time using last name and booking reference. Because of this disconnect, I lost whatever loyalty points I could have got on my Maldives ticket. Overall, the website experience is not the best in the industry- they can improve it a lot better. I tweeted to their twitter handle asking how many days before departure web check in can be done. There was no reply. Eventually I figured out that web check in opens only 24 hours before flight departure. This is too late in my opinion- Air Asia opens Web Check in 14 days before travel date. So if my only option is to confirm the change of timing, why show all these messages to me? This delay was not communicated via email or SMS, I was shown this only when I retrieved by booking on the site. Was pretty standard. No issues. Srilankan allows 30 kg baggage allowance, more than many other international airlines. All my 4 flights were on time. 2018 Update: though website says 30 kg, my ticket was showing 40 kg allowance. Anyway we didn't need that much. Meals were great. 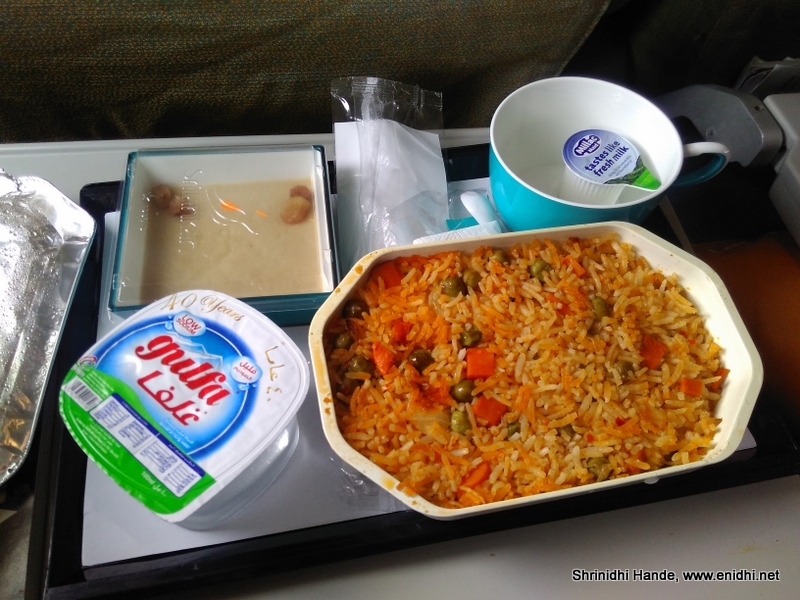 Though Chennai-Colombo and Colombo - Male were short flights (little more than 1 hour each), full meals were served and they were good. Many other airlines only provide sandwiches or such light items on short duration flights. So my full marks to Srilankan for providing tasty food. Tea/Coffee were served but no juices were on offer. There was no option to select meals. (Veg Non Veg or type of meals)- Thankfully we got veg meals on all flights- one of the flights didn’t even stock non-veg,meals. Alcoholic beverages are available for sale. Srilankan offers a paid WiFi service, but their package is similar to what I had experienced on Air Asia. Wi-fi charges are revised as per below table-from earlier MB based now it is duration based. This feels reasonable, though I didn't have the need to try it. No earphones were given, even on request. If I had known this earlier I would have carried one of my own. Because I didn't know, I couldn't enjoy the audio. Of the 4 legs, Colombo- Male A330-300 didn't have any movies enabled, but on remaining 3 legs I could watch movies. Movie collection was good- included Hindi, Tamil and other movies which were released in past 1-2 years. Srilankan offers connectivity to 100+ destinations worldwide, with about 7 new destinations added from November 2016. But only about 30+ destinations are served by Srilankan on its own, rest are via code share partners- Air Berlin, Malaysian, Etihad, Mihin Lanka etc. 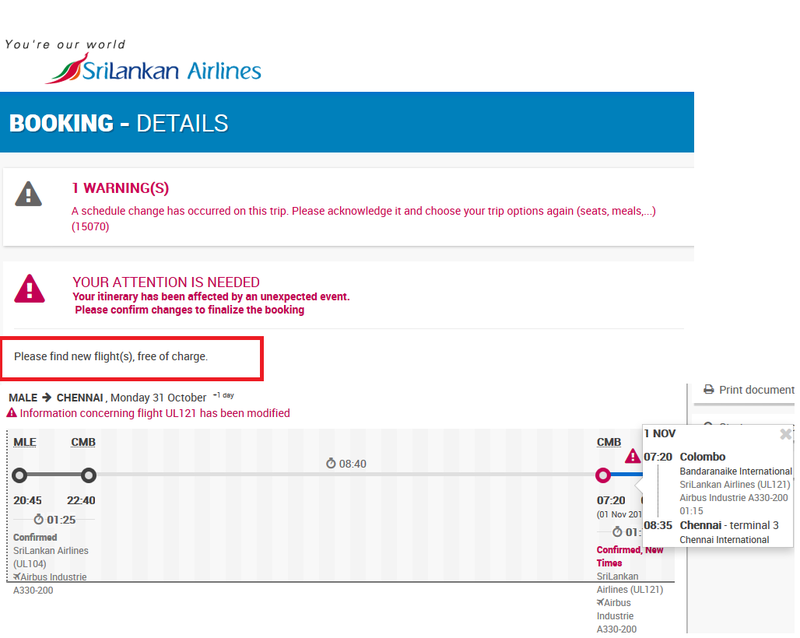 So if your ticket is not serviced by Srilankan then the experience may not be same. On our return journey we had 10 hour transit in Colombo. I tried my luck asking to be put on an earlier flight, I was told that flight is -5 (meaning overbooked by 5 people). I tried my luck requesting lounge access- I was told I can buy one at USD 15 for 3 hours. A couple ahead of me tried negotiating an upgrade to business class for their Colombo-Singapore flight- they were told an upgrade would cost them about 250 on Srilankan operated flights and 350 USD if operated by other partner airlines. Essentially you can't hope for any free upgrade or facilities. The passenger sitting besides me in Chennai-Colombo leg was heading to London and had a pass for lounge. Not sure if he got it free or because of loyalty points or purchased it. 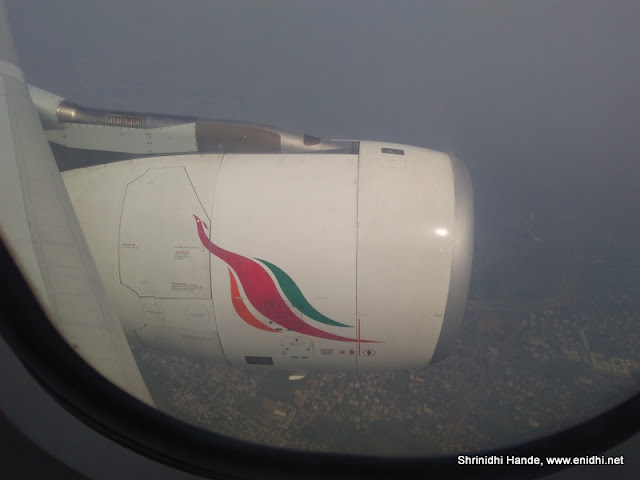 While my experience was overall great, friend and fellow blogger Umesh says in 2013 his checked-in bag was unlocked and goods stolen, on a Srilankan flight to Bangkok- many other passengers also suffered similar theft and nothing much was done by the airline towards it. I am hoping that was an one off accidental occurrence and not a regular risk. Air hostess were in their early or mid 30s mostly- if those things matter to you. I had noted few other complaints/inconveniences about the website, as the navigation was way different from AirAsia, Spicejet and other airline websites I frequently use. But after sometime I got used to it, so I think it just takes time. So that sums up my Srilankan experience. If I spot similar low fares, I am looking to book few more trips with them in future. Widebodied planes are flown/decided purely based on load factor ,depending on the destination they will have different planes during different seasons to cope with the load factor. Again in case of A330-200 depending on the seat matrix ,generally it has less leg room. Thanks for sharing such a detailed and useful post. 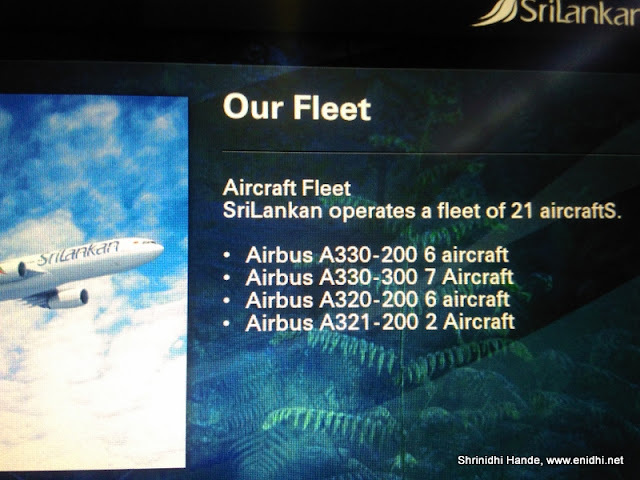 I hope Srilankan airlines is listening and ready to improve where it needs to.